their immune and gastrointestinal tract development. More specifically, this project is focused on helping participating hospitals identify and overcome barriers to establishing maternal milk supply and barriers to supporting breastfeeding in the NICU. enterocolitis, respiratory distress and other morbidities during their stay in the NICU. fortifiers are at higher risk for necrotizing enterocolitis than infants receiving a human milk diet. Further, other benefits of a human milk diet have been documented including lower rates of sepsis and other infections and shorter lengths of stay. The benefits of a human milk diet are well established and human milk feeding for VLBWs is the standard of care endorsed by the AAP. The human milk learning collaborative began in September of 2016 with 15 participating Level III & Level IV hospitals. Approximately 800 NICU beds are covered by the project. This learning collaborative is designed to enable teams to share, test, and implement ideas for improving rates of human milk and breastfeeding among very low birth weight babies. The goal of the learning collaborative calls is to arrive at and spread ideas that will improve outcomes for very low birth weight infants and serve as a model of how to improve care more broadly. 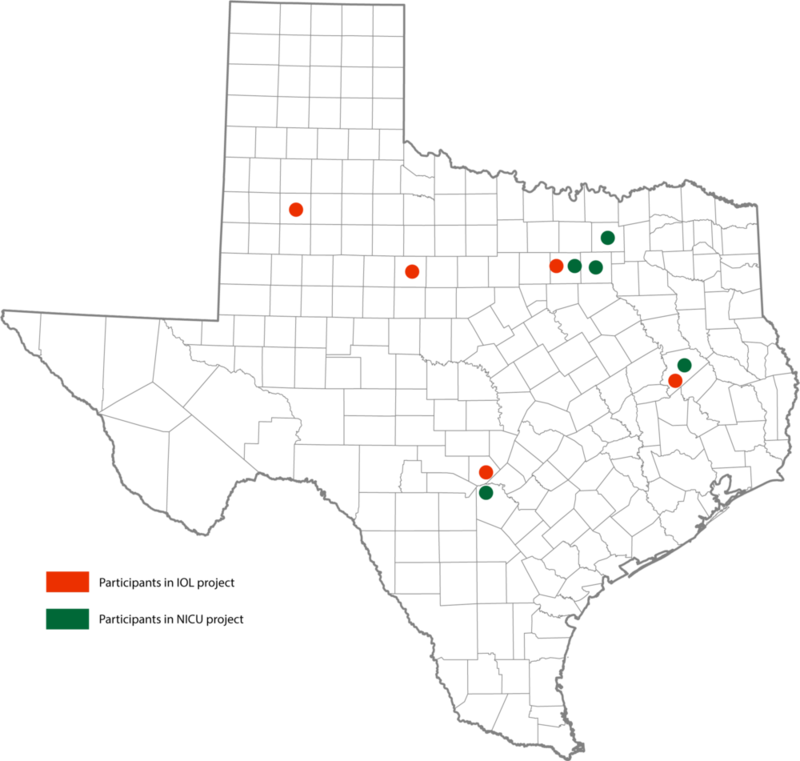 "VLBW infants were 1.4% of the births in Texas in 2013 and 2014, comprising 11,078 births in this two-year period"
increasing the use of mother’s colostrum in their units. These efforts have resulted in collective improvements among participating hospitals. Hospitals in the learning collaborative have seen increases in the percent of very low birth weight infants that received mother’s own milk, and in the percent of very low birth weight infants receiving donor milk. infants transition to direct breastfeeding.